The Canadian Science Policy Centre, the organizers of the annual Canadian Science Policy Conference (CSPC) has announced several useful items in the lead-up to the 9th CSPC, which will be held in Ottawa, ON from November 1st - 3rd. A Comprehensive Collection of Publications Regarding Canada’s Federal Chief Science Advisor and Ontario’s Chief Scientist - The listing is intended to "provide a panoramic view of all ideas" surrounding these two positions and their expected role in future governments. Additional materials can be recommended for the list by sending an e-mail to info@sciencepolicy.ca. Original opinion pieces regarding this report can be submitted to editorial@sciencepolicy.ca. A Listing of Pre-Budget Proposals From A Variety of Organizations that Prioritize Science and Innovation - The list currently includes submissions from Colleges and Institutes Canada, Engineers Canada, the Information Technology Association of Canada (ITAC), the Science and Policy Exchange, Universities Canada and quite a number of others. The next Federal budget will be released in March 2018. Additional publications which advocate for science and/or technology can be added to this list by contacting info@sciencepolicy.ca. 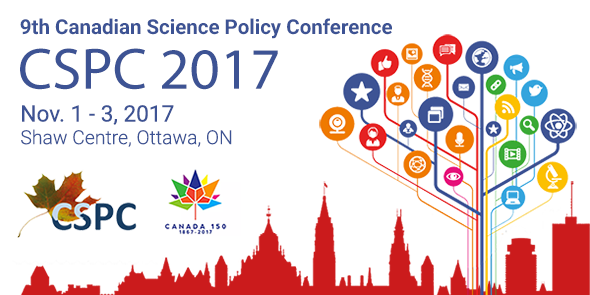 To learn more about the upcoming 2017 Canadian Science Policy Conference, check out the website at http://cspc2017.ca/. Henry Stewart is the pseudonym of a Toronto based aerospace writer. Check out our European partner, the Orbiter.ch space news website. The 1st and best space calendar from our friends at the Space Age Publishing Company. The 2017 Edition of "Jobs, Jobs, Jobs in Space!" Startup jobs of the week: Synapse, Real Estate Webmasters, Urbanlinx Media Inc.
Space Optimists wanted at the ISU Central Campus for SSP19 Strasbourg, France! Unless otherwise noted, all work is copyright @2019 by the individual authors of each article. Simple theme. Powered by Blogger.